Tiyan malayalam movie directed by G N Krishnakumar will have Fahadh Faasil, Indrajith and Murali Gopi in lead. 'Tiyan' would be a family entertainer set against the backdrop of a village outside Kerala. The movie is to be produced by Haneef Muhammed under Red Rose creations banner. The movie will start rolling from the first week of April 2014. Young film maker who had made a comeback with the recent release 'Kaanchi' is gearing up to helm his next project with a fresh team to be unleashed. Titled 'Tiyan', the movie will be a clean entertainer set against the backdrop of a village outside Kerala. The movie is to be produced by Haneef Muhammed under Red Rose creations banner. The movie will start rolling from the first week of April 2014. G N Krishnakumar's previous venture 'Kaanchi' which featured Indrajith and Murali Gopi in lead made mixed reviews. According to the director, the movie is being planned to entertain the family audience with all the three actors playing equally powerful characters. The heroine, full cast and technicians are yet to be finalized. Krishnakumar is looking forward to crooning the crew members of Kaanchi in his upcoming project too. The movie to be creamed with humour and suspense, will keep the audience intact. Actor Indrajith would be happy to work with Krishnakumar for the third time after 'College Days' and 'Kaanchi'. Indrajith-Murali Gopy duo has worked together for movies like Ee Adutha Kalathu and Left Right Left with both receiving critical acclamation and box office success. 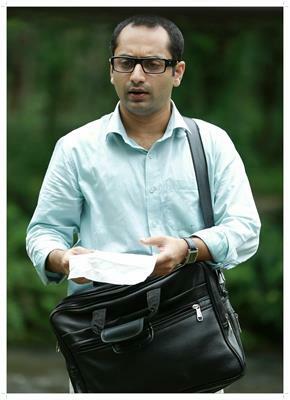 Fahadh Faasil who has delivered his charisma on the big screen, did had a bright year with a number of hits in account. Some of his upcoming projects include 'Oru Indian Pranayakatha', 'I by Two', 'Cartoon', 'Antichrist' and 'Shivaganga Cinema Factory'. Few among the projects helmed by Indrajith include 'Vedi Vazhipadu', 'Nakku Penta Nakku Takka' and 'Antichrist'. Meanwhile Murali Gopi would be seen as lead character in movies like 'Kosrakolli', 'Ezhu Sundara Rathrikal', 'Naku Penta Naku Taka', '1 by Two' and 'Vedivazhipaadu'. With a young team including Fahadh Faasil, Indrajith and Murali Gopi join for a big venture, expectations are on the height. So tighten your seats and get ready for a royal ride.